THE recent track record of Irish governments in supporting and protecting asylum seekers is shameful considering our unique history of emigration. Since 2003, Ireland is the only state in the European Union to opt out of EU Directives laying down minimum standards for the reception of asylum seekers. For 15 years, the state has placed asylum seekers into the discredited Direct Provision System, condemning them to long years in limbo, living on a paltry allowance and denying them the right to work. One third of those living in Direct Provision today are children. Over half of those living in this system have done so for over four years. This injustice must end. The Irish Government has a responsibility to its citizens as well as international responsibilities. This would see Ireland take approximately 4,500-5,000 refugees this year. 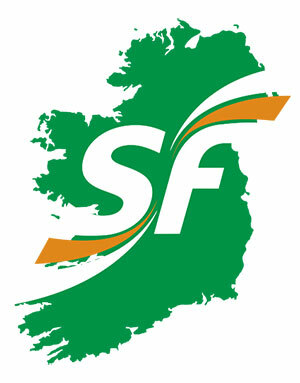 It is important to note that Sinn Féin would not put an upper limit on it. We must not only do our fair share but more than our fair share given our own emigrant history. This plan should be both short-term and long-term. The Government should immediately set up a working group of immigration experts and other civil society groups to speedily identify the infrastructural requirements and other needs and logistics necessary to make our response to the crisis as successful as possible. The Government should also engage with the Northern Executive and the British Government to work on a common approach across the island. Sinn Féin continues to fully support the use of the Irish Naval Service in search and rescue missions in the Mediterranean and call on the Irish Government to ensure that these missions continue. We will not support the use of the Irish Naval Service or Defence Forces to take part in offensive military actions under the EUNAVFOR Med mission. Direct Provision must be scrapped. It is not fit for purpose. Sinn Féin believes that there is a need to ensure that we have a system in place that respects the dignity and human rights of asylum seekers. To be convened immediately to draft a comprehensive action plan to address the needs of asylum seekers and also be tasked with examining conflict resolution strategies. This could be done through a UN Security Council Resolution, as well as all EU member states working together in the spirit of Article 80 of the TFEU to make this happen. This could also include the provision of the issuing of humanitarian visas for those travelling from conflict zones. Ireland must suspend these regulations to ensure effective access to asylum. The regulations usually means that the responsible member state will be the state through which the asylum seeker first entered the EU. The Dublin Regulations establish a hierarchy of criteria for identifying the member state responsible for the examination of an asylum claim in Europe. This is not practical under the present circumstances. Temporary protection is an exceptional measure to provide displaced persons from non-EU countries and unable to return to their country of origin with immediate and temporary protection. It applies in particular when there is a risk that the standard asylum system is struggling to cope with demand stemming from a mass influx that risk having a negative impact on the processing of claims. Call on the European Commission and EU member states to stop co-operation with third countries which aim at preventing asylum seekers from reaching a safe place in Europe Also call for an end of negotiations of any such agreements with third countries that do not guarantee the protection of refugees and respect for fundamental rights, such as Eritrea, Sudan, Somalia, Ethiopia and Egypt. The Common European Asylum System (CEAS) is based on the full and inclusive application of the Geneva Convention relating to the Status of Refugees 1951 and the New York Protocol of 1967. It seeks to address needs which have arisen from, among other things, the processes flowing from the Schengen Agreement, the relaxing of borders within the EU, the resultant need for agreement on the regulation of the EU’s external borders, and the gradual expansion of EU powers to create an “Area of freedom, security and justice” grounded in the Tampere Programme (1999-2004). Call on EU member states to strengthen long-term efforts to resolve the root causes of the refugee crisis by advancing political solutions to conflict and inclusive socio-economic development across Africa and the Middle East. Military interventions by European states in Libya, Syria, Iraq and Afghanistan have left a bloody legacy and continue to fuel conflicts in the region which have created this refugee crisis. EU countries need to use their influence in these regions to find inclusive political solutions rather than establishing military alliances with countries seeking to prolong and deepen these conflicts.